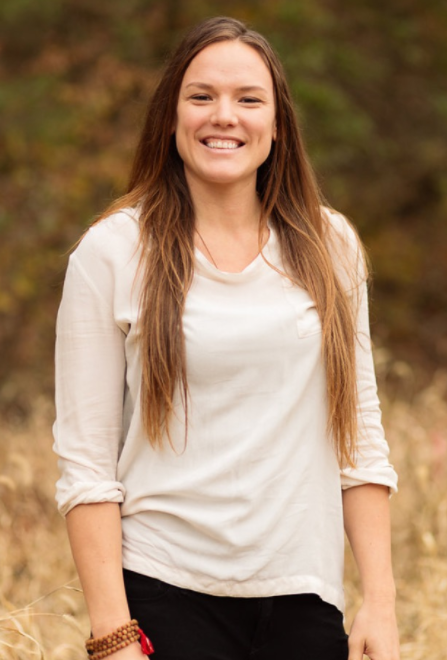 Individual assessments with Yoga Therapist Jayme Sweere will provide you with an individualized practice based on your current goals, health, and ability. This therapeutic practice prescription will provide support for preventing or healing health challenges at any level by applying techniques from the Yoga Tradition and Ayurvedic health systems to reduce symptoms, restore balance, increase vitality, and improve attitude leading to greater clarity and well-being. You will go home with the added confidence of knowing that you're committing to a practice designed for your nature and your goals. What's this SOUL food you speak of? SOUL food is food as thy medicine; seasonal, organic, unprocessed, local food that has been treated with love and respect from seed all the way to your plate. Our chef Deva Parr will walk and talk us through each meal over the weekend, along with a special 2 hour cooking class with an emphasis on healing the gut through proper food combining and learning to play with Ayurvedic spices at home. All of the meals are healthy vegan fare that will leave you feeling satisfied, nourished, and inspired to eat well. How will this help me with my New Year's Resolutions? The keys to changing habits are designed right into our time together. Getting clear on goals and what is painful physically will set the stage for understanding the power of movement and the science behind how yoga therapy works with the nervous system and neuromuscular re-facilitation to get underneath the unconscious habits that cause us to remain rooted in habit. The environment is created to support getting clear on your goals for 2018 and getting the actionable tools to design your life. The Melonlight Ballroom was built over 100 years ago on the creed of 'Friendship, Love & Truth', it is literally carved into the ceilings and floors. That warm, loving energy resides in this sacred space. The room is lined with windows providing light and beautiful views of the popular Spring Street and a coffee shop right below and a back deck surrounded by the natural Ozark forest. The whole town is buzzing with healing energy. With healing water springs around every corner, beautiful shops, Victorian homes, and a unique style all it's own it is the perfect setting for reconnecting with all that is good in life! The retreat cost is $350 and includes 6 meals, educational sessions, individualized assessment, practice prescription, and follow-up call with Jayme. See our no hassle cancellation policy if you're concerned about winter weather. A farm-to-table chef and founding owner of Happy Belly CSA in Aspen CO, Dava is now a resident of Eureka Springs, AR and will be providing fresh healthy meals in an approachable 'you can do it too' way. She has been cooking and teaching for decades and loves to share the healing power of food. Yoga Therapist and Founder of Stressed Out Humans. Jayme is passionate about making ancient wisdom approachable and applicable in everyday life. Her down-to-earth style of teaching movement, breath, and meditation has developed from going 'Pro' in many different trades and learning to adapt and apply yoga science in everyday situations for self-regulation and healing. Join us for this weekend of healing and connection!